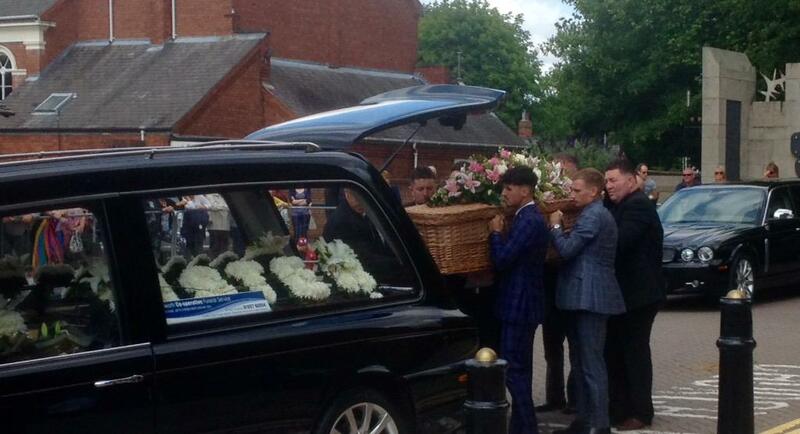 A funeral service has been held to remember Derby-worker Sue Davey who died in the Tunisia shooting in June. The mother, who's from Tamworth, and her partner, from Derby, were among 38 people shot on a beach in Sousse. Hundreds were at St Edithas Churchtopay to pay tribute to her. She was on holiday with her partner Scott Chalkley at the time of the attack. Reverend Alan Gordon lead the service and her son, Conor Fulford, read an emotional poem he'd written himself.